I’m fine don’t worry. Even if I’m not *touchwood*, I’ve bought travel insurance for this trip. 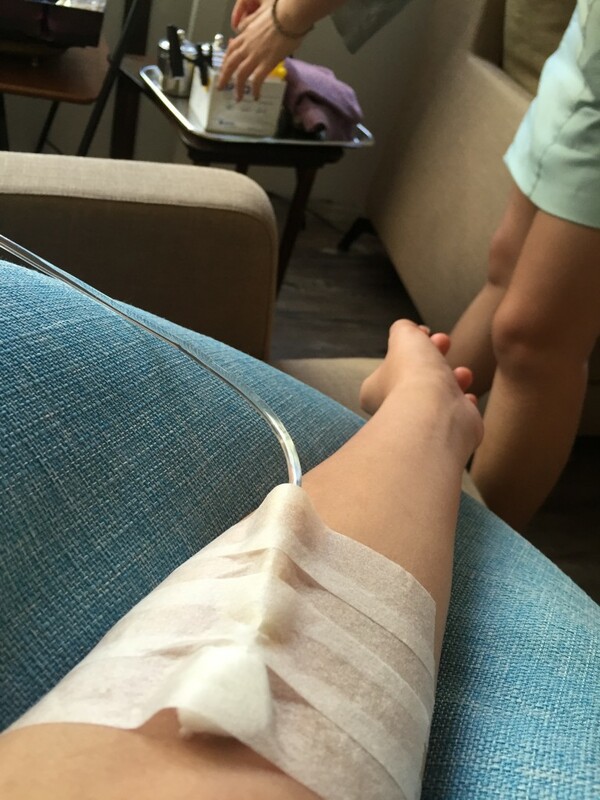 I’m in trustworthy hands of super pretty nurses (which we are wondering if they’re 台湾艺人 aka celebrities) doing a detox drip. Still tuned to end of this post to find out how to get your choice of detox or whitening drip F-R-E-E! 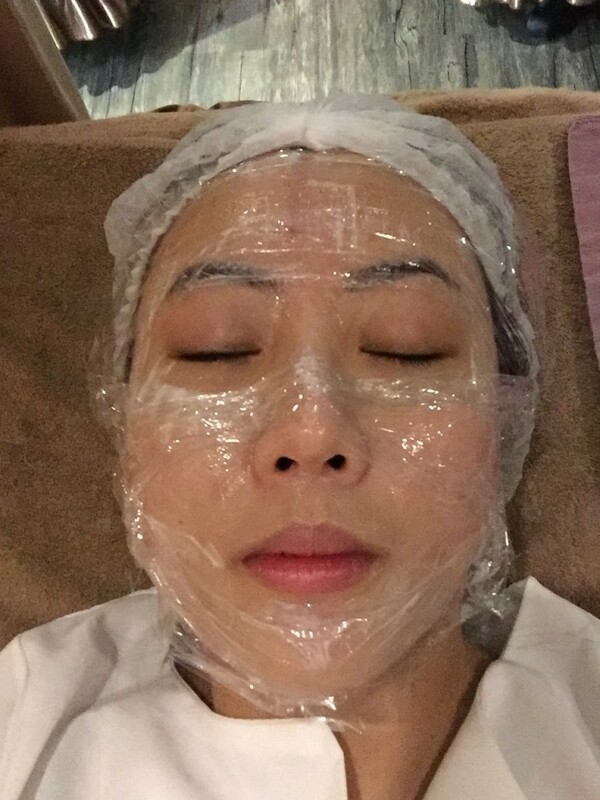 I did almond peeling + laser on the 2nd day and hydrafacial on the last day of my trip before returning to Singapore. You might ask me why didn’t I do everything within 1 trip? Firstly, I was recommended not to do too much treatment within one go to let my skin rest. So, I wasn’t intending to do hydrafacial at all during this beauty retreat to Taipei, Taiwan. Almost all of them have flawless and dewy skin. Gosh! iStyle樂芙美形診所 used to have this handsome consultant called Randy to liase all the appointments. For foreigners like you and me, what I would do is to Whatsapp or Facebook massage the clinic for an appointment. But now that Randy is no longer around, appointments are only via facebook massage or LINE. Ok. That’s a super unglam a min. of a double chin photo. My face is cleansed, applied with numbing cream and wrapped in preparation for laser. This time round, I did an almond peeling and beauty (clarity) laser. Some of you might ask me “how strong is the laser?”, “will there be any downtime?”. Based on my friends and my experience from trying MANY different clinics’ laser treatments in Singapore, I can say it’s definitely stronger than the normal lasers (which comes in many different fanciful names but it’s basically more or less the same) that have no downtime. iStyle does provide stronger lasers which my two girlfriends went for which is similar to CO2 laser. 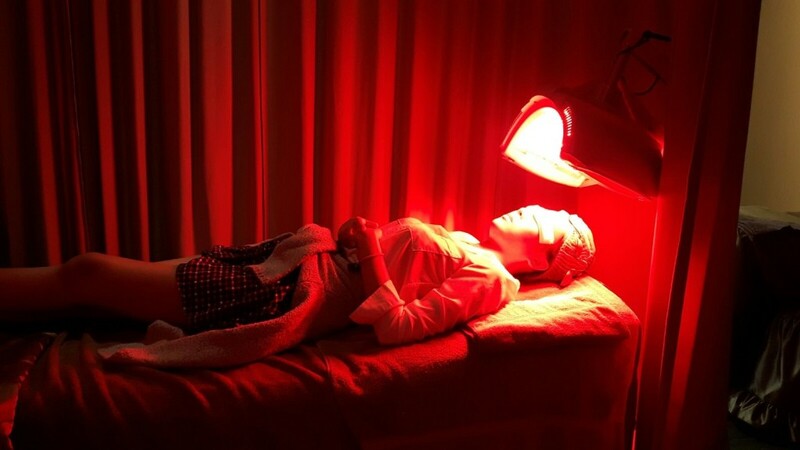 After my treatment, under a super glaring light that helps in promoting skin healing. Just a tip: Do the laser first then the almond peeling. The nurse told me that it’s the same whichever you do first but based on my experience, almond peeling is similar to chemical peeling which some might feel discomfort (after all, it’s acidic). If you’re doing laser first, the numbing cream helps to numb your face so you practically feels nothing when the almond peeling is “eating/dissolving” your dead skin. ? The first time I went, I did almond peeling first which is so itchy that the nurse removed it for me under 5mins. Eeyer~ I would have kept my mouth shut if I know she will remove it when I complain lo. Waste my money. ? I mean I will endure for the sake of beauty no matter how uncomfortable or pain it will be (and also to make every cent of my money worth. LOL). ? Ms Chio did the same as what I did plus Botox and Ms Pan Asian did Hydrafacial™ and fillers. There’re 2 kind of nose fillers available – Radiesse and Restylane. Radiesse which is more expensive than Restylane. Radiesse maintains its shape better, giving more contrast and is also said to last longer than Restylane. I was extremely tempted to do fillers but due to my high metabolism (especially my face), it only lasted a mere 2 months even for Radiesse. My cheeks even worse – it’s gone when I came back to Singapore. FML. Thank goodness I didn’t do it in Singapore which that will cost at least x3. No joke. Even for my friends that smoke and drink heavily lasted at least a good 6months but me?! That’s why I gave it a miss this time. I would recommend Radiesse nose filler and remember to opt for 院长 aka clinic director (it’s a guy by the way). His nose moulding is superb!! It’s super natural which so far all my friends that went for him LOVEEE the effect. 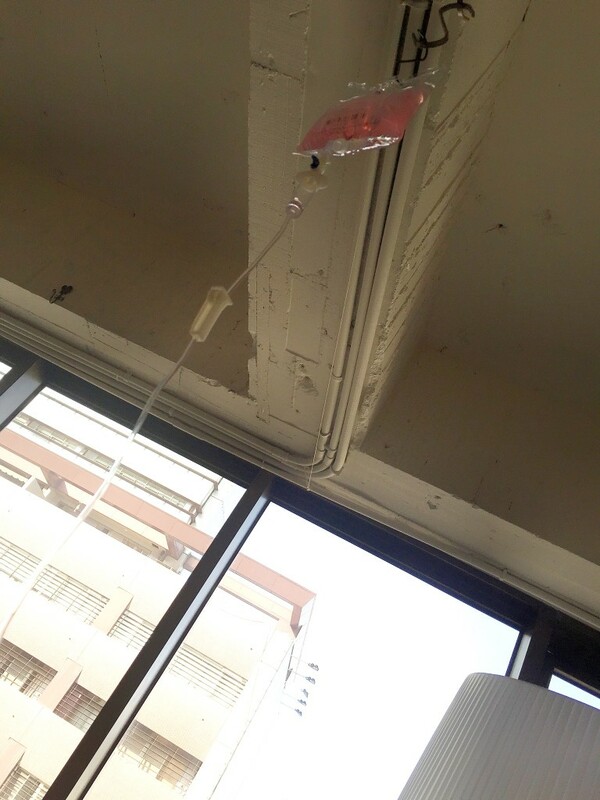 …she left her bikini at the clinic. That’s why we went back on the last day to collect her bikini plus our impulse decision on getting Hydrafacial™ that Ms Bikini raved madly about. ?? The holy grail of all facials – glowing in blue light of hope towards better skin. 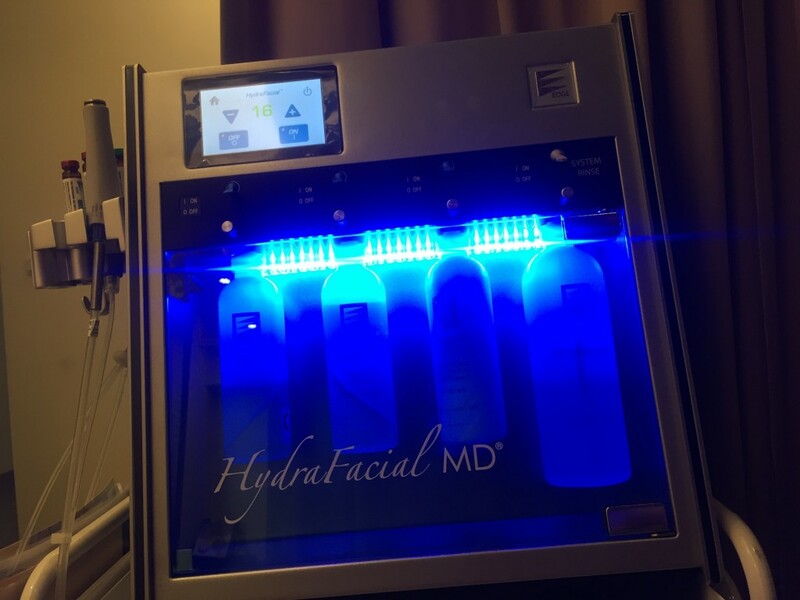 I’ve tried Hydrafacial™ in Singapore and I absolutely LOVE IT. Not only it hydrate your skin damn well giving it a glow but also the painless extraction. The only downside is the price, even cost about $118 SGD during a trial (Normal price would be around $200++ SGD if I’m not wrong) per session. Its good lah but not to the extend of making me fork out almost $300 SGD a month for it. (Sorry hor. I yet to attain the tai tai/business woman status.) ? Unlike Singapore which charges a standard price for the whole facial (4 steps – Maintenance products not included). 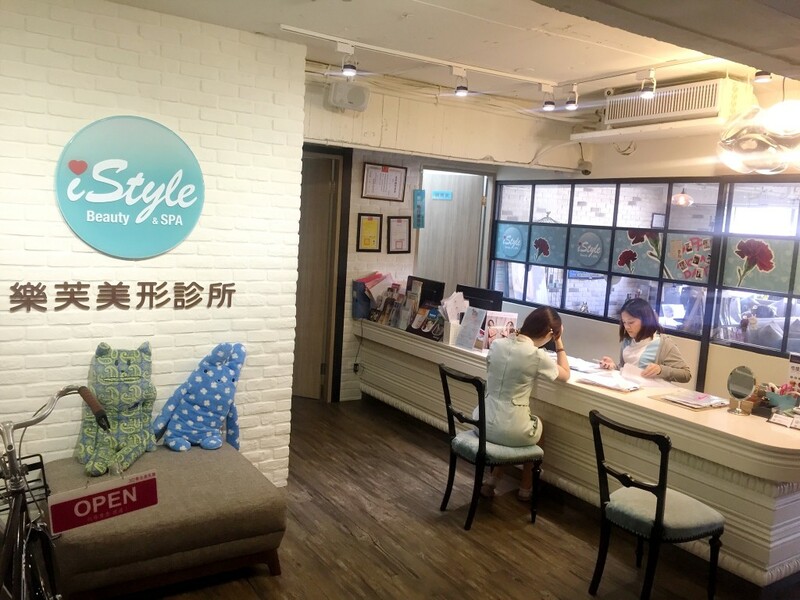 In Taipei, you can opt for which step(s) you would like to go for which would make it slightly cheaper by about $50 SGD or less depending which clinic you compare. That doesn’t really sounds enticing to me since there’s not much saving. But Gladys aka Ms Pan Asian/Ms Bikini (LOL! Sorry for giving you so many titles) raves about it like mad, saying that it’s the BEST money spent in this entire whole trip. She said it’s way better than the Hydrafacial™ in Singapore. I was pretty skeptical because the Hydrafacial™ I did in Singapore was really good to begin with. 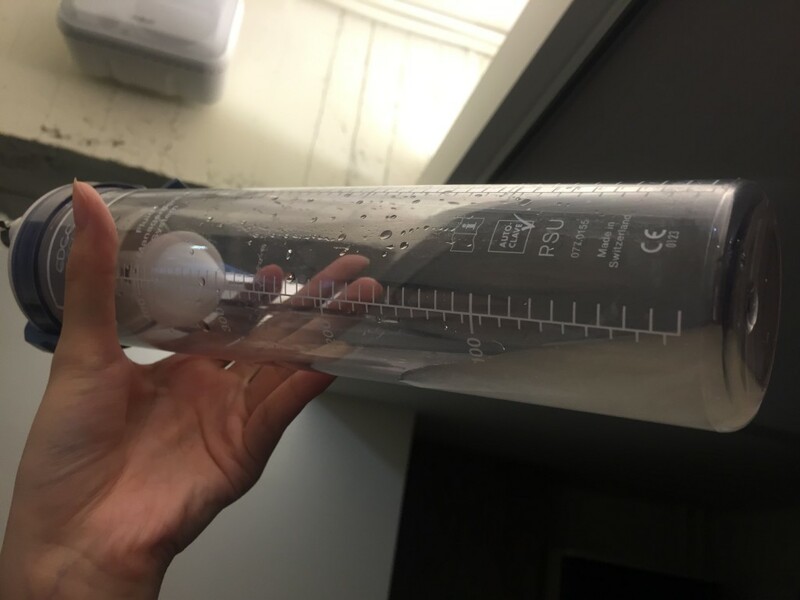 So how much better can Hydrafacial™ in Taiwan be? She ensured me that I wouldn’t regret doing but instead if I don’t do it before I leave Taiwan, I definitely will regret it. So guess what? Yeap. Being a full time sucker for everything that’s good for skin, Ms. Chio and I went for the Hydrafacial™. ? “Dirty” stuff that were painlessly extracted from my skin – comedones, oil, etc. HOLLLLYYYY COWWWWWWW! Its the best money spent in my entire Taipei, Taiwan trip. My skin feel SOOOOOOOOOO CLEANNNNNN. 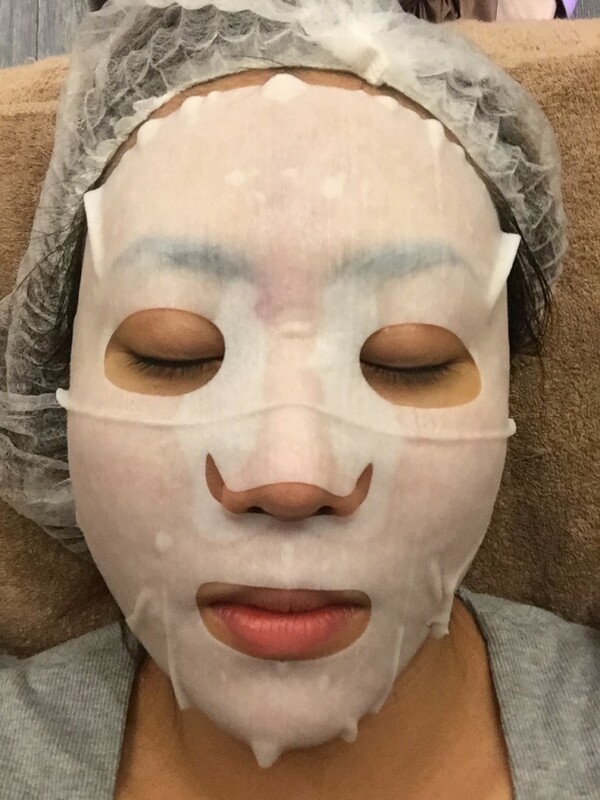 Loosely quoted from Gladys; Taiwan Hydrafacial™ you feel that the nurse are more sincere 有心 when doing the facial, she will make sure she go around a few times and more on the parts where your face is more congested. Singapore Hydrafacial™ just like that lo, 意思意思 go around your face that’s it. Which Ms. Chio and I can’t help but to nod in 100% agreement. The blackheads on your nose is 100% gone after Taiwan Hydrafacial™ where else Singapore Hydrafacial™, it’s still there. ? Y’all really need to try it yourself to believe it. I was advised that I’m not needed to do all 4steps. 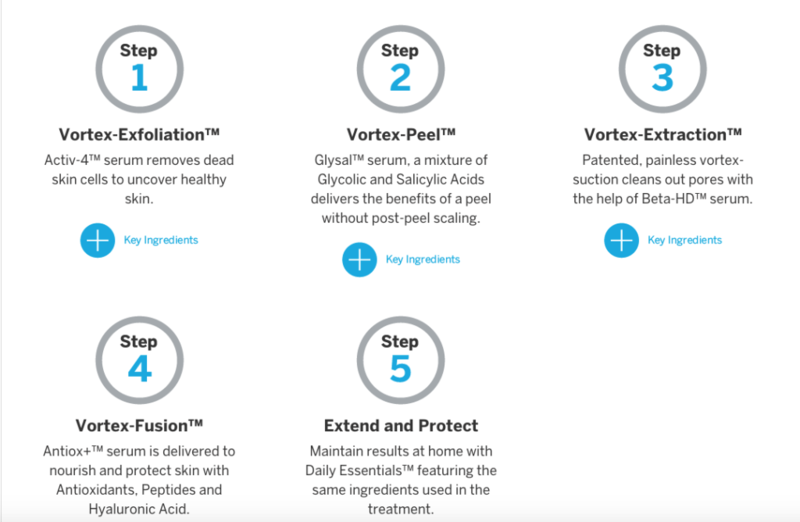 Just 3 steps of Hydrafacial™ will do. Now to the last part of my Taipei beauty post – the price. Detox drip – Good for those who always burn midnight oil. Ok. I wouldn’t forget that I promised y’all about the free detox/whitening drip. Girls (or guys) that go for whitening drip in Singapore knows that it cost about $200 – $300 SGD per session. ? I didn’t go for the whitening drip because you need to do once a week for at least a month to see the difference which obviously I wouldn’t be there for that long. All you got to do is to like and share their iStyle樂芙美形診所 Facebook page. (Some of my friends told me that they were given free once they mentioned my name. And to make the deal sweeter, 1st trial for their laser costs only $999 TWD (~ $45.4 SGD) instead of $2k TWD!). ? For this trip, we were not sponsored any treatment nor services by iStyle, nor given any special incentives for posting this. I’m only posting this because it is indeed one of the best places for treatments which I’ve been to, and the staff are really nice there! can you recommend any place in singapore that does the whitening drip? i tried googling but seems that it is banned. is it true?